We have the answers for Words Story Escape Alcatraz at this page. All the words you need to solve your level can be found here. 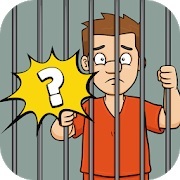 Help Peter escape from prison with these answers. Just scroll down to see the solutions for your level. You can also enter the letters you have available here. Then we will show you all the possible answers for Words Story Escape Alcatraz.